Our Mission Statement: "Strive to maintain an affordable, professional pet waste removal service to pet lovers in our community." Since 2002, we are proud to say we have met and exceeded our mission statement to our customers day after day. Our pride in creating satisfied customers shows in every yard we clean. Our goal is to make life easier for pet owners and allow them more quality time with there pet(s) and family. 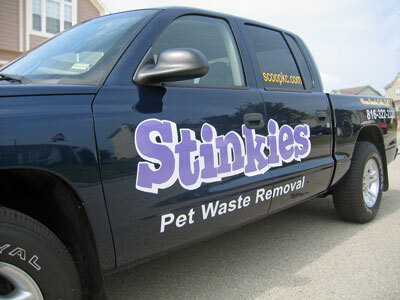 Why Choose Stinkies Pet Waste Removal? As a commitment to our community, Stinkies donates funds and services to many pet related organizations and charities. We believe our commitment goes beyond our customers but to the entire community as a whole. 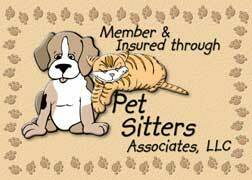 Stinkies is licensed and insured for your protection. Kansas: Fairway, Kansas City, Leawood, Lenexa, Merriam, Mission, Mission Hills, Olathe, Overland Park, Prairie Village, Roeland Park, Shawnee, Shawnee Mission, Stanley, Westwood, Westwood Hills. Missouri: Belton, Brookside, Grandview, Greenwood, Kansas City, ( south of I-70) Lee's Summit, Plaza, Raymore, Waldo. pet waste removal and pooper scooper service in the Kansas City Metro area. Dog poop cleanup and dog waste removal is our business. dog waste, pooper scooper, pet poop pickup, pooper scooper kansas, pooper scooper missouri, pooper scooper kansas city. pet waste removal kansas city. dog waste removal and pooper scooper services of dog poop.